Glasgow is a city with a lot of escape rooms to offer and Escape Glasgow is at the top of that pile, currently being ranked on Trip Advisor as Glasgow’s second highest rated room. The company are running three rooms at the moment, however we were there to take part in the so-called ‘EMCU trials’. The story behind this room is that the Escape Mysterious Crimes Unit is in the process of recruiting, and this is your final test to complete before being welcomed into their ranks. EMCU Trials looks to be their newest game, and is also the most difficult. ‘Trial’ is definitely the right term for it, with the average team needing around 10 clues, and even then there’s only a 35-40% pass rate. The game itself is almost missing a sense of fun. There aren’t any interesting props or whimsical puzzles. The room isn’t particularly visually interesting and there are no ‘wow’ moments, such as discovering a secret wall safe or partition that you didn’t know was there. This is probably because it would detract from the only reason that the room exists: the puzzles. There’s a padlock that needs to be opened and, once that has been accomplished, you are rewarded with another padlock to open. Part of the difficulty stems from the linearity of the room – usually if you’re stuck on one puzzle then there will be at least one other to play with and then you can return to the puzzle you’re struggling with at a later point. In this case, if you’re stuck then there’s nothing to do but run down the clock until you’re gifted with a hint. 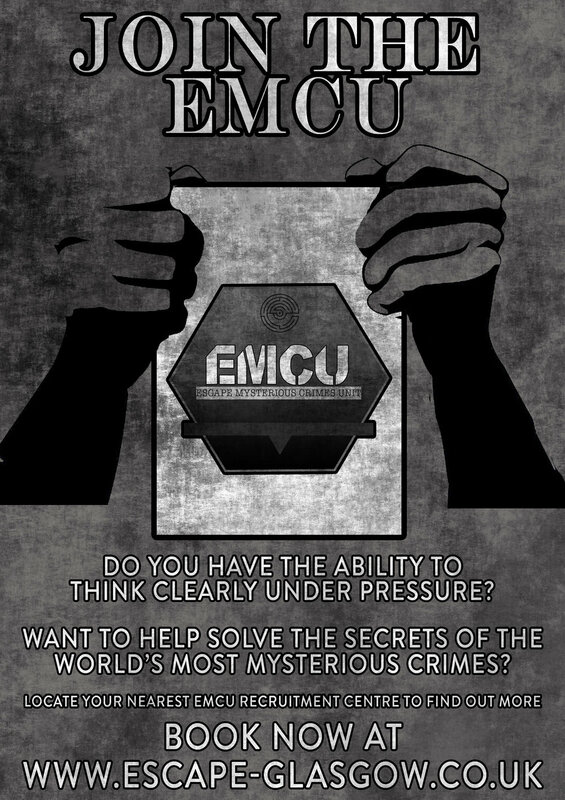 The EMCU are looking for the best of the best…which I don’t think was us. This is all sounding very negative, but it depends on why you enjoy escape games. If you’re a fan of the genre and you want to test yourself, then this is the room to do it in. This is a room for those players with experience, rather than casual players. If this was someone’s first experience of an escape room, it’s less than likely that they would walk away from the experience converted into a fan, just because of the prohibitive difficulty level. Speaking to the person managing the game afterwards, it was obvious that the team running the company really care about and enjoy escape rooms, and were very knowledgeable about the other games in the area. 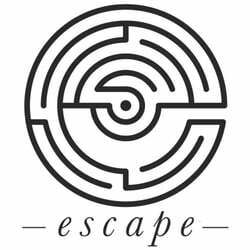 This may actually go some way to explaining the difficulty level – this is a room made by escape room enthusiasts, for escape room enthusiasts. What they’ve created is a room that gives a real sense of achievement in managing to solve it, but does sacrifice some of the fun along the way. If any of the above puts you off, rather than leaving you eager to become the first team to ever beat the room without any hints being offered (seriously! ), then don’t worry. They offer two other rooms where the difficulty isn’t quite as punishing, and we saw a team escape from their Contagion themed room with a respectable amount of time on the clock, and still all wearing smiles.